Angola is a nation on the western coast of southern Africa. Originally occupied by Portugal, battling for independence, which didn’t come until 1975, and then embroiled in a violent civil war that didn’t end until 2002, it’s an embattled country and not the cheeriest of places. But it also happens to be home to a youth underground turning to an unlikely outlet for hope: death metal. 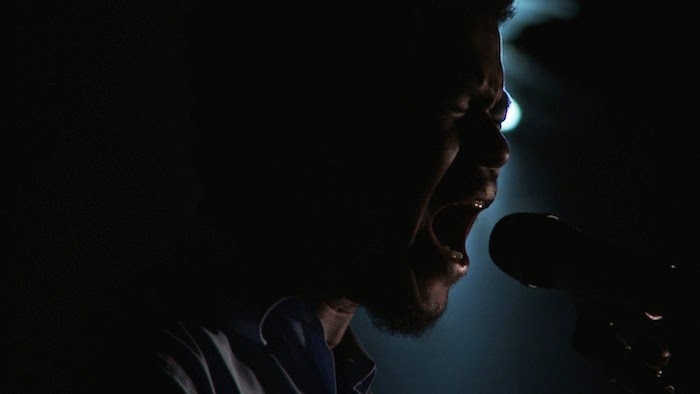 If that sounds like a fascinating subject worth exploring, you’re not alone, and it’s the topic of Jeremy Xido’s excellent new documentary Death Metal Angola. We all knew this was going to happen, we just didn’t necessarily expect it to go down this soon. 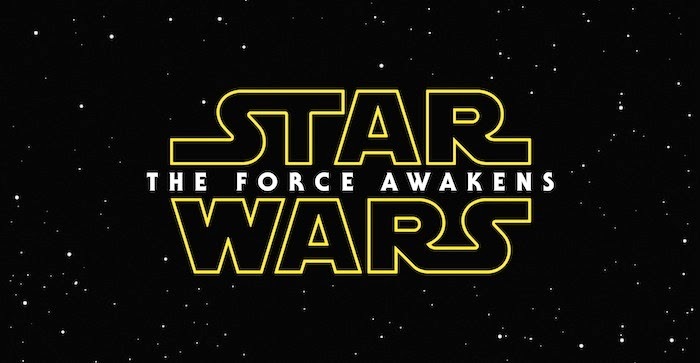 There was such a big deal made about how the new teaser for Star Wars: The Force Awakens was finally coming, and how it was only going to show in 30 movie theaters across the country starting today, but what was waiting for us all online this morning when we woke up? That’s right, a Thanksgiving miracle, the first Star Wars: The Force Awakens trailer, and you can watch it right here, and it’s awesome. This needs to happen, like right now. 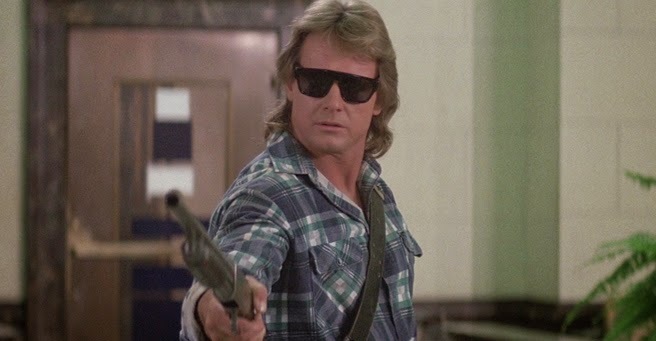 Wrestling legend “Rowdy” Roddy Piper has battled aliens in John Carpenter’s classic The Live and tackled giant mutant amphibians in Hell Comes to Frogtown. (Why hasn’t he been in an Expendables movie yet? You’re slipping, Stallone.) Now he’s getting set to take on the Great Old One himself. 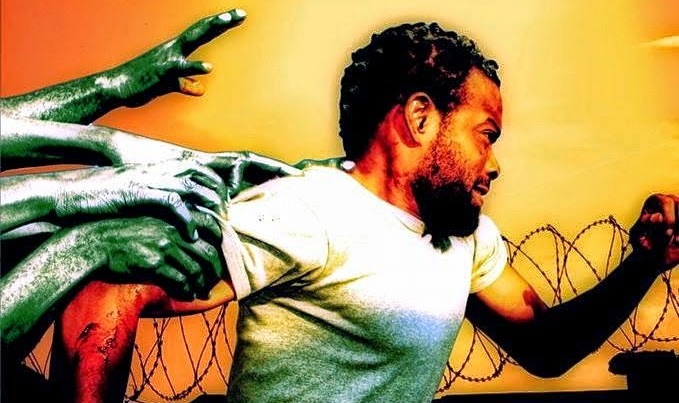 Yeah, Roddy Piper is going to tangle tentacles with Cthulhu in the short film Portal to Hell, but he needs your help first. 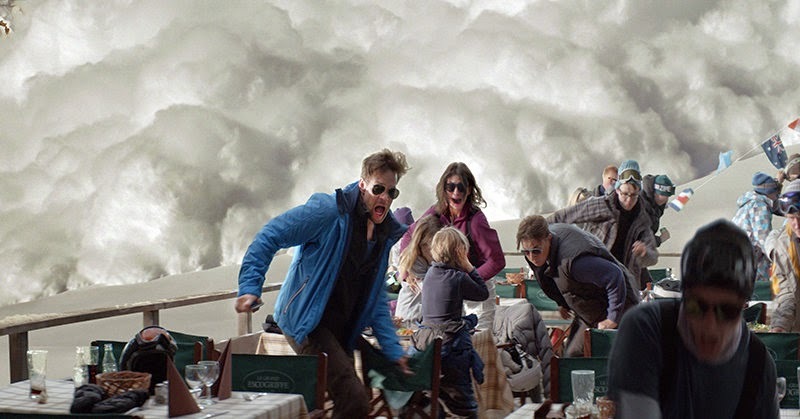 Force Majeure, Sweden’s entry into the Best Foreign Language Film Oscar race, is a disaster thriller where actual disaster is entirely secondary and serves as a launching pad for the rest of the film. A biting, and bitingly funny, look at marriage, family, love, and coming to terms with the person you turned out to be, this is getting some serious buzz when it comes to end of the year awards, and rightfully so. 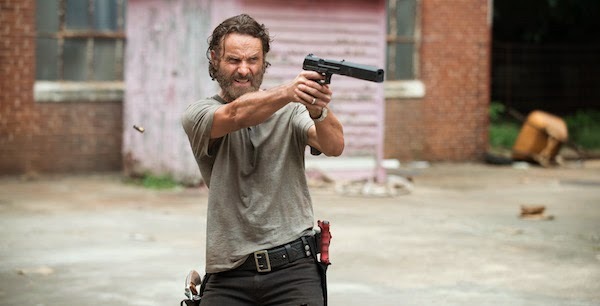 The Walking Dead is building towards something, something big. 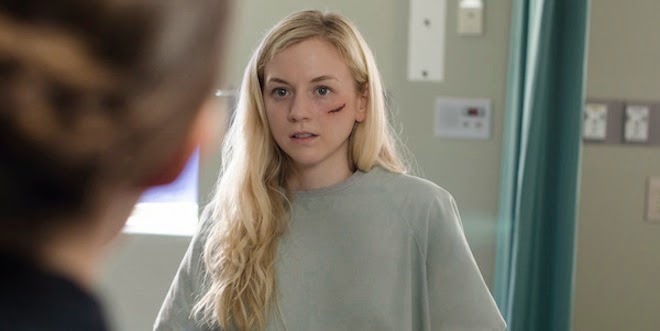 A major conflict has been brewing between the core group and the group at the hospital, and tonight’s episode, “Crossed,” the last one before the annual mid-season hiatus, pushes things even farther. It’s kind of all over the place, and there’s a lot going on, but it drives the arc of season 5 in a direction it needs to go. Stop reading this if you haven’t watched “Crossed,” we’re going to get all kinds of spoilery from here on out. Zombies may be all over American popular culture, from hit TV shows like The Walking Dead to goddamn Starburst and Hyundai commercials, but the undead aren’t our sole property. From Wild Zero to Remington and the Curse of the Zombadings, they’re worldwide, including Nigeria. And in that spirit, check out this trailer for C.J. Obasi’s Ojuju. 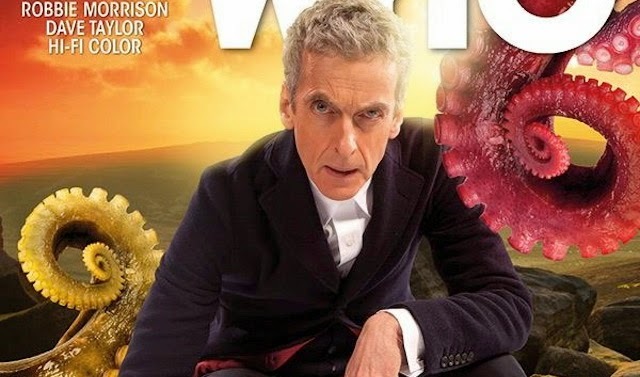 We now know that Peter Capaldi will be back to front Doctor Who for at least season 9 of the long running BBC sci-fi adventure series, but his run on the pages of the funny books is just getting started. I admittedly haven’t caught up with his tenure on the show, but from the general feed back form Whovian friends out there, it sounds like it started out strong, but had some missteps along the way as the episodes progressed. But now that season 8 is in the books, and if you need to kill some time before the Christmas special (which stars Nick Frost as Santa), he’s back for his second issue. 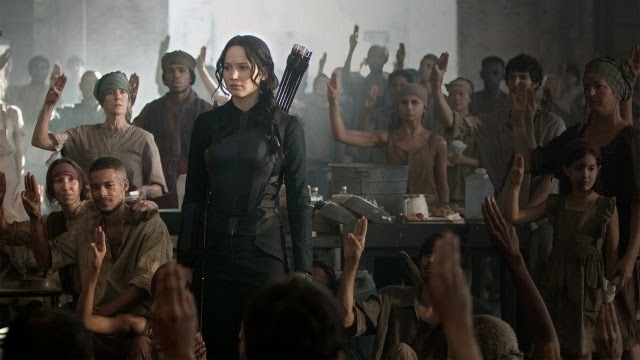 There are parts of The Hunger Games: Mockingjay—Part 1 that are harrowing, moving, and action-packed. While that can be fun to watch, and there are some nice bits of spectacle level eye candy, including the destruction of a massive damn, the problem is that the film never becomes more than simply the first part in a larger saga. This makes sense, obviously, as the third book in Suzanne Collins’ dystopian young adult trilogy has been split into two movies, but in this case, the film is all build up and feels like it’s just killing time before getting to the meaty part of the story. Pitch Perfect is easily my favorite movie of 2012. No joke, it’s on my top ten list for the year, though it should be much higher ranked in retrospect, as there was a stretch of ten days after it came out on DVD where I watched it at least once a day, and my views probably topped 30 throughout the rest of the year. So, as you probably guessed, I’m rather excited for the upcoming Pitch Perfect 2. Who expected competitive college a capella to be my jam? But now the first trailer is here, and I apologize in advance for the long periods where I disappear for days at a time and just watch this. With the ever-increasing prominence of the Internet in our daily lives (how many simple, routine tasks are now accomplished solely digitally?) it brings up a whole slew of new problems and issues. It’s also created a whole new approach and area of activism that was once both inaccessible and unnecessary. 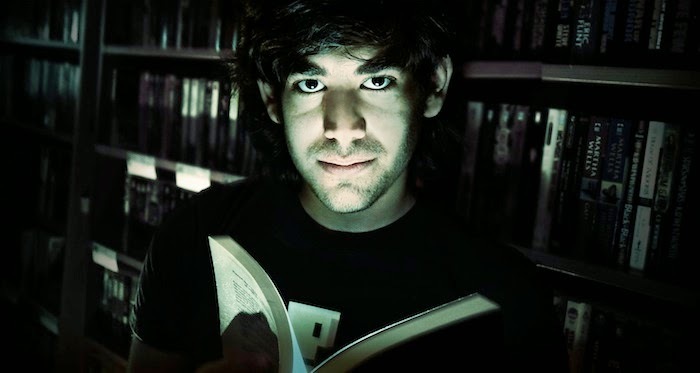 Brian Knappenberger’s new documentary, The Internet’s Own Boy, explores one figure in the push for digital equality, Aaron Schwartz, who not only championed parity across for all across the web, but paid the ultimate price for his efforts. Just the fact that Paul Thomas Anderson has a new movie coming out is enough to get most movie fans excited. Though we’re tenting our fingers like Mr. Burns over his latest, the psychedelic noir adaptation of Thomas Pynchon’s Inherent Vice, the first trailers have been rather uninspiring. But lucky for us, there’s this short new trailer, cut by Anderson himself, which captures the manic, wing-nut energy of the story. 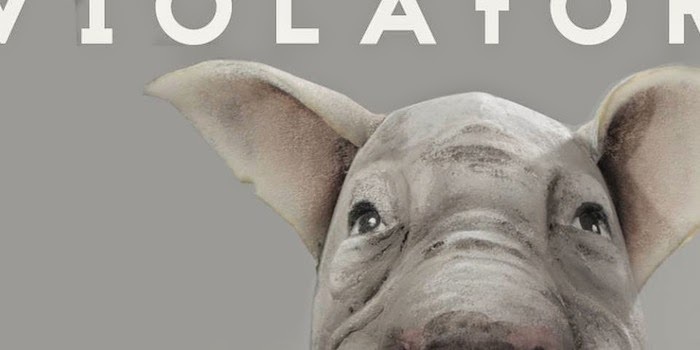 Fresh off a victory at the Cinema One film festival in the Philippines, the debut directorial effort from Dodo Dayo, Violator, has delivered a creepy new trailer. It’s not in English, and there are no subtitles, but don’t worry, you get the point they’re trying to make, and it’s spooky as hell. 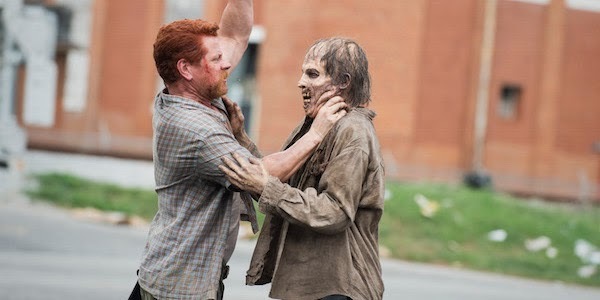 During the last half of season 4, AMC’s The WalkingDead took a different approach to telling the zombie story, breaking the core group up into smaller factions and following each one for an episode, or at least most of them. 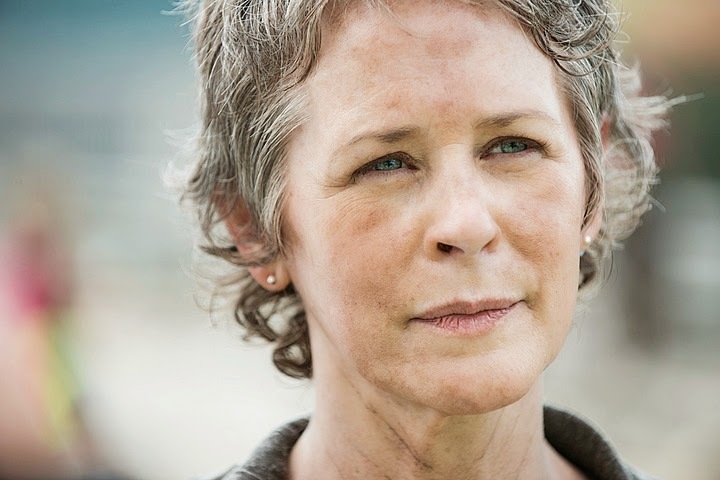 Season 5 has taken that strategy and added even more narrative tweaks and gymnastics. They’ve staggered the timeline, so not only do events in different places play out simultaneously, each chapter adds to your overall knowledge, filling in blank spots and answering questions posed earlier. Thus far, it’s been an inventive tactic, creating a tension that carries week to week, and builds the arc of the season in a different and unusually satisfying way. (It’s weirdly like watching Arrested Development, letting stories unfold over multiple episodes, in multiple timeframes.) This week’s episode, “Consumed,” follows this path and delivers one of the best installments of the season. There are SPOILERS beyond this point. If you haven’t watched “Consumed” yet and have any interest in doing so, stop reading now or what follows falls on you. I’m not too proud to admit that I enjoyed Dumb and Dumber when it came out, and that I have fond memories of the film. Granted, it was 20 years ago and I was 16-years-old, but it was Jim Carrey and the Farrelly Brothers working at the height of their respective games. 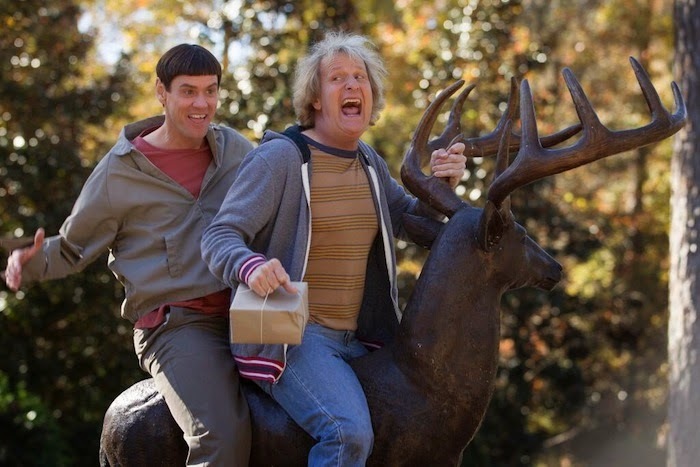 In the intervening years, I haven’t been able to bring myself to watch it again because I’m afraid it will tarnish otherwise pleasant recollections, but I think I can go ahead and give it a shot because the new sequel, Dumb and Dumber To, just did a solid job of ruining the first film for me. 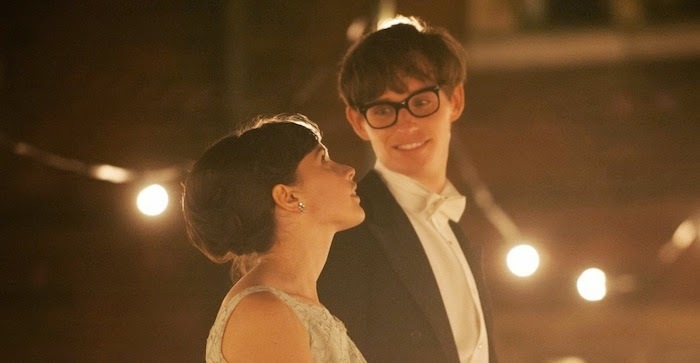 Biopics live and die on the strength of their performances, and fortunately for James Marsh’s The Theory of Everything, a telling of the life and loves of Stephen Hawking, the two leads are marvelous. Eddie Redmayne (Jupiter Ascending) plays the renowned cosmologist, while Felicity Jones (The Amazing Spider-Man 2) plays his wife Jane. It is these transformative performances that are the true strength of the film, and are what elevate this above your standard life-story movie. Along with the likes of Scott Adkins, Michael Jai White, and Tony Jaa, Chilean martial artist Marko Zaror is one of the baddest men currently working in action cinema. 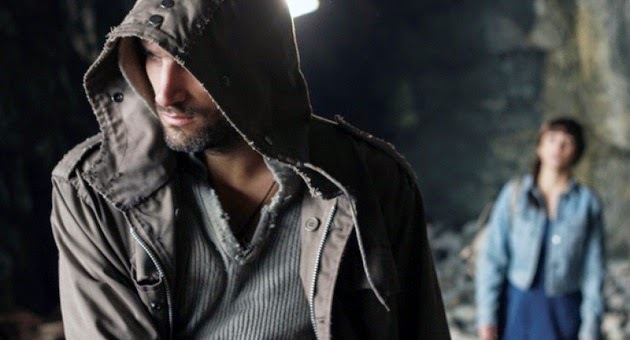 Up until now, he’s largely been relegated to smaller roles and random villain parts in these mostly DTV genre flicks, but now with Redeemer he gets to take center stage. And watching this new trailer this is going to be something you need to see, and well worth the wait. Last week’s episode of The Walking Dead, “Slabtown,” wasn’t great, and is the weakest episode of the series since the middle of season 4. But luckily, it was just a slight speed bump, as the hit zombie drama returned to its recent form with the fifth episode of season 5, “Self Help.” As the core group has broken up again, they’re sticking with the narrative structure where each episode follows one splinter, and this installment sheds some light on members of the cast who, though they’ve been present, haven’t had much to do. It should go without saying that there are spoilers coming, but I’ll say it anyway, there are spoilers coming. Christopher Nolan is widely known as a student of film and cinema. 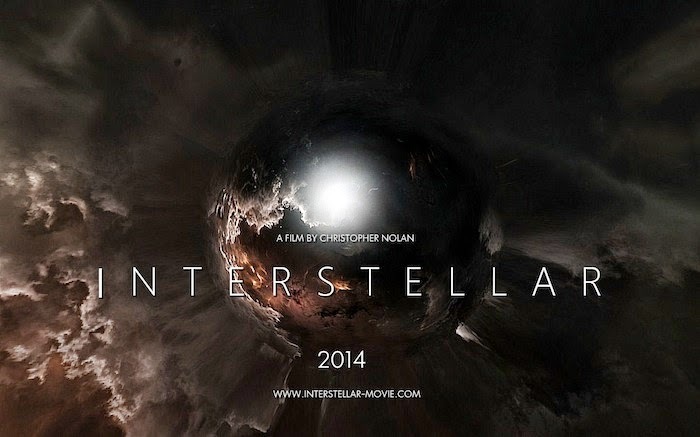 His movies are full of references and influences from earlier works, and his latest, Interstellar, is no exception. Watching the epic space adventure slash family drama unfold, you can’t help but notice nods to the work of other filmmakers. 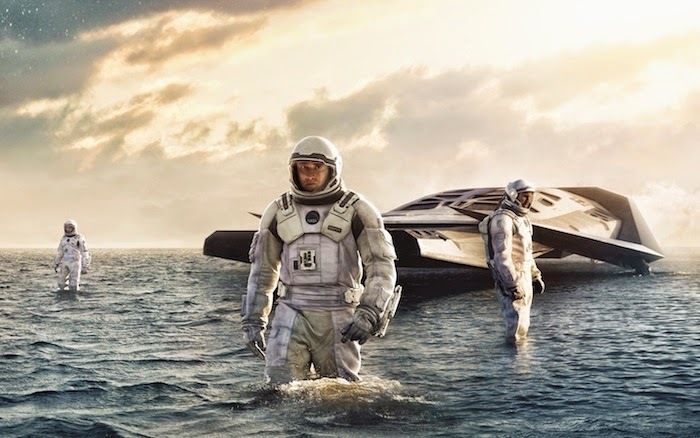 While there is obvious inspiration taken from films like Stanley Kubrick’s 2001: A Space Odyssey, Steven Spielberg’s Close Encounters of the Third Kind, and Philip Kaufman’s The Right Stuff, there are many more that you wouldn’t necessarily expect. Just for the hell of it, we’ve compiled a handful of classic black and white films (and one that is, admittedly, cheating) whose presence can be felt, to varying degrees, in Nolan’s latest offering. Of the three continuing Doctor Who titles that Titan Comics currently has going—one each for Doctor Ten, Eleven, and Twelve, with Nine reportedly on the way—it’s Ten that is the real standout. 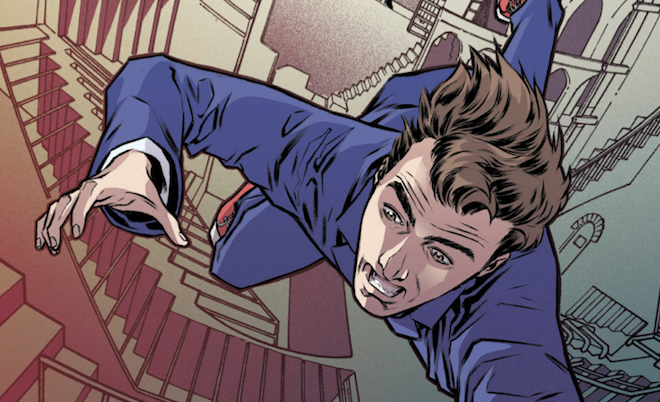 Twelve is more dour and serious, like Peter Capaldi’s version, and Eleven, much like Matt Smith’s portrayal, is super bouncy and cartoony, and though it’s improving each issue, it has a ways to go. Ten, however, uses a different narrative approach than the others, and the writing his more introspective, which gives you more of an emotional connection to the players. And this continues in Issue #4. As usual, we’re going to take a stroll through Spoiler Town, so if you haven’t watched the episode yet, you may want to cool your jets for a while. Bless, you, The Fast and the Furious franchise, bless you. Why wouldn’t you start the first trailer for Furious 7 by parachuting cars out of an airplane? That’s the logical choice to us. Why is there a bus with automated machine guns? Why wouldn’t you ram a car into another car in order to propel Paul Walker forward into yet another vehicle, all at dangerously high speeds?